Just a few more pictures from this morning’s Coastal Trail bike ride in Anchorage. 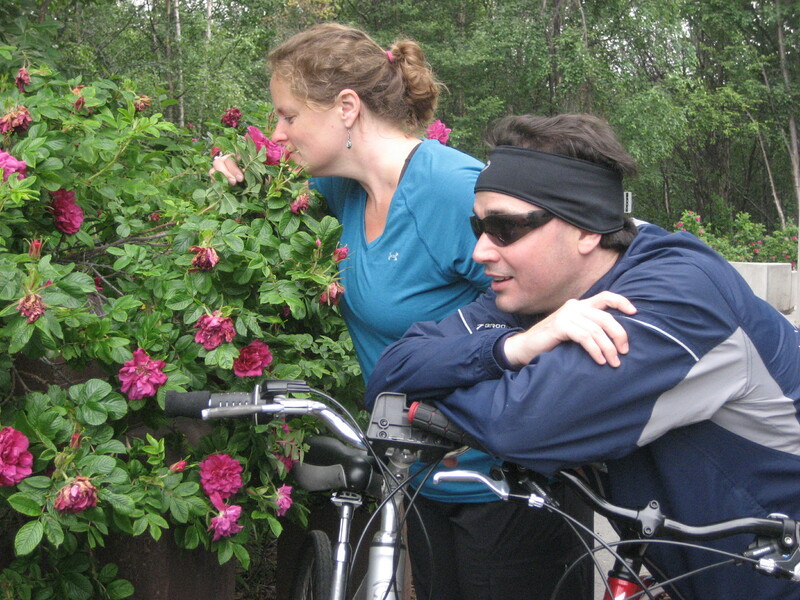 Here we are stopping to smell the roses that run all along the coast in Anchorage. They smell amazing — I could just stand and sniff them all day. 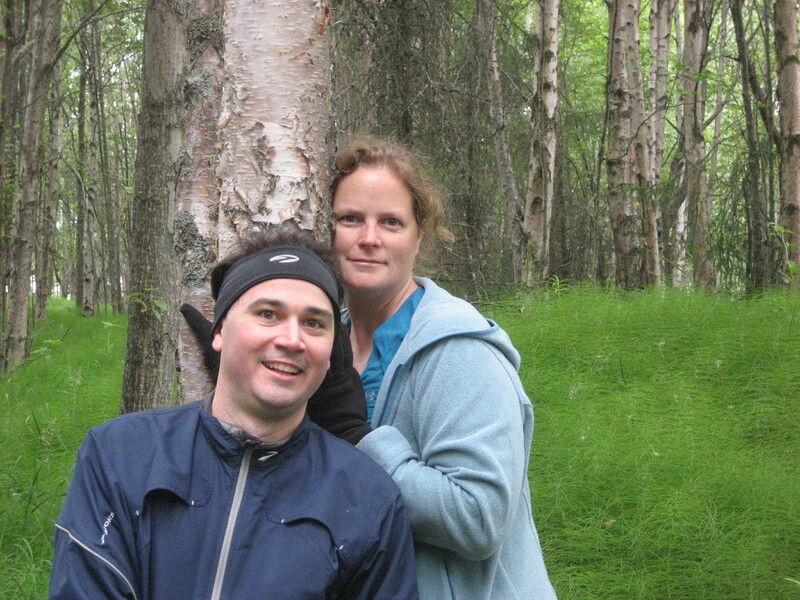 We hopped off our bikes briefly to admire the woodsy area along the trail, just a few yards in from the coastline. 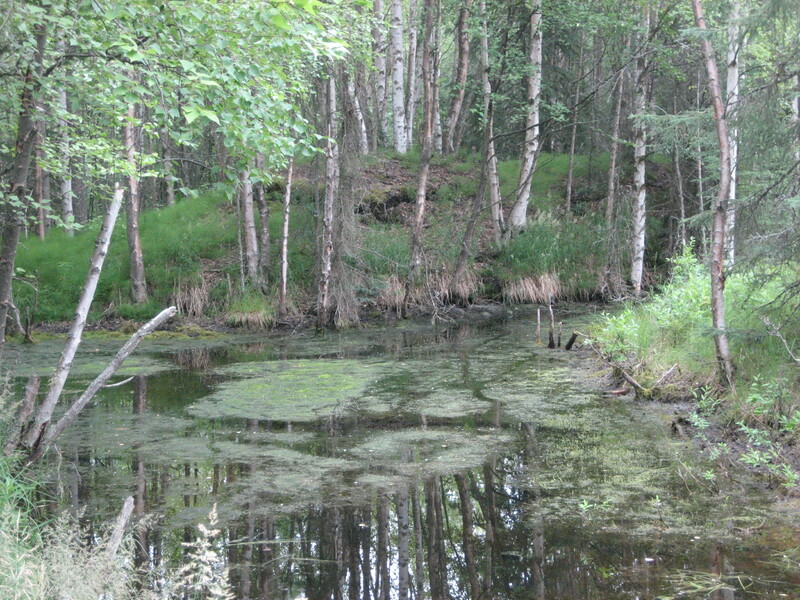 The last pic here is of a swampy area in the woods. What’s notable about this picture? That’s right, you guessed it: there are no moose in this picture (no beluga whales, either). I had the impression from the guidebooks that there would be moose wandering all over the streets of Anchorage, and that there would be tens of beluga whales cavorting in the ocean waters along the bike trail. But I’m afraid that our only wildlife sitings on this outing were a few ducks and some unidentified small, quick-flitting shorebirds.